BoPET films have gained immense popularity thanks to the development of flexible packaging and labels. BoPET films are currently used as part of composite films to package food products: mayonnaises, ketchups, sauces, confections, pasta, chrunchy snacks, breakfast cereal, tea, coffee, and fresh and frozen items, as well as perfumes, light industry products, and medical products. 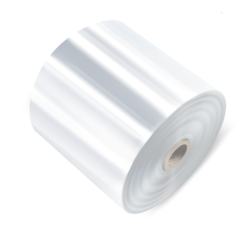 Applications for BoPET films are extensive: coating paper and clothing, board prototypes, metalized decorative elements on cloth; insulation in the production of firefighter uniforms, thermal protection of buildings, electrical insulation; anti-adhesive and thermal films. BoPET films’ unique properties are used in aviation and shippingto make boat sails and anti-sun blinds, and even to cover the backs of solar batteries. Multilayer composites with BoPET film substrates have high durability, thermal resistance, excellent barrier properties, and resistance to solvents. To choose the best packaging option, contact the specialists on our sales team or technical support team. They will help you make a choice that accounts for your equipment and special requirements.